There has been some great action all weekend long going on at the Pacific Indoor Bowls Club as the BC Indoor Triples Championships was being held for the first time, as the new Indoor initiative for 2017 moves forward – List of events. 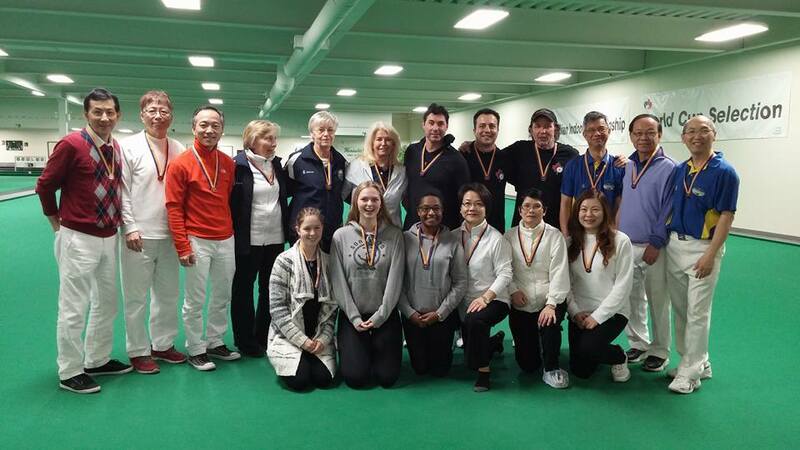 Women and Men from across the Province were giving their best to try and become the first Indoor Triples Champions. Round Robin play concluded on Sunday afternoon with the playoffs continuing throughout the day and into the evening. In the Women’s Final it was experienced International Bowler Pricilla Westlake, with her rookie squad of Under 25 Bowlers, take on Team Jenny Siu in the finals. It was a highlight reel game, as amazing shots were played through the match. In a close contest it was experienced indoor players, Skip Jenny Sui, Amy Ng and Linda Ng that made it over the line to take home the Gold Medal. 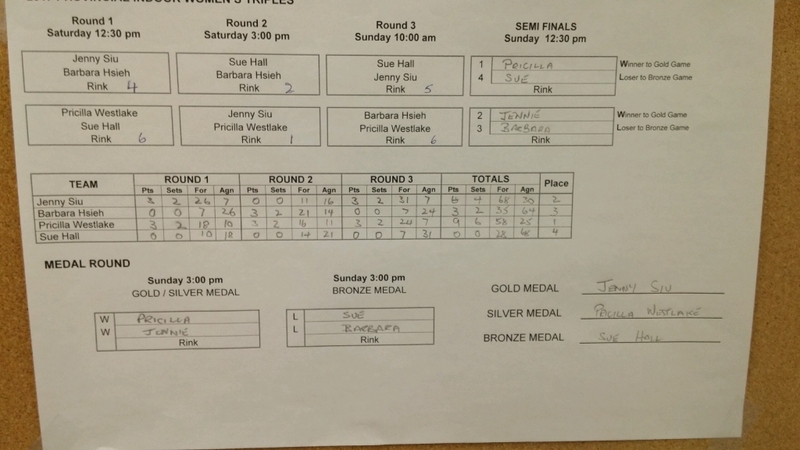 Bronze Medal match saw the West Van LBC women’s team of Sue Hall, Pat Chapman and Grethe Jensen prevail in a thrilling final match as they beat Barbara Hsieh’s squad in a close game. Men’s action saw the undefeated #1 ranked Team Mason go headed to head with #2 ranked Team Michael Leong once again, as their first match in the round robin saw superb shot making throughout the contest. As promised it didn’t disappoint the jam packed PIBC as they fans saw a nail bitter in the finals. With a close contest it was the Team of Skip Tim Mason, Joe Hunt and Steven Santana that would prevail in the tie-break. 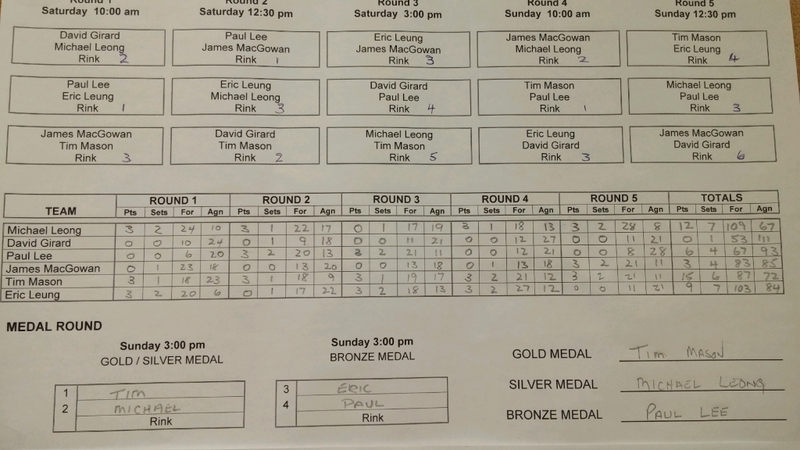 The Men’s Bronze Medal Match was won by Peter Lee and company as they had a terrific game against Eric Leung. A special thank to the Umpires for the event, George Cubiss, Robert Ascroft and Alan Webster as it wouldn’t have been possible without you guys. Next up is the Women’s and Men’s Indoor Pairs, February 10-12. Entries close February 5, 2017. Register through the Bowls BC website.